A major shift in strategic course appears to be underway at the largest power utility in the United States, one that bodes well in terms of achieving the reductions in greenhouse gas (GHG) emissions called for by the Obama administration and the historic multilateral accord 195 nations agreed to at the UN climate change conference in Paris on Saturday. Duke Energy has announced news of four significant renewable energy projects thus far through December, and we’re only halfway through the month. On December 15 Duke announced it is building two major solar projects in its home state of North Carolina – a 60 megawatt (MW) facility near Monroe, N.C. and another 15.4-MW facility near Mocksville. Both are expected to be brought online by year-end 2016, according to Duke’s news release. 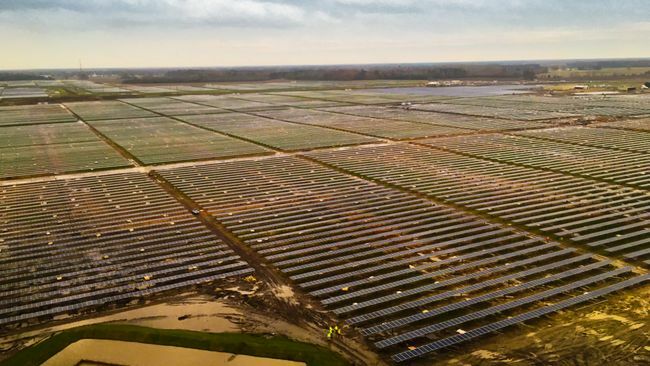 A day earlier, on December 14, Duke Energy Renewables announced it had sealed a 25-year solar power purchase agreement with Corning Inc. Slated to come online in 2016’s first quarter, Duke’s Conetoe solar power facility will be the largest east of the Mississippi. 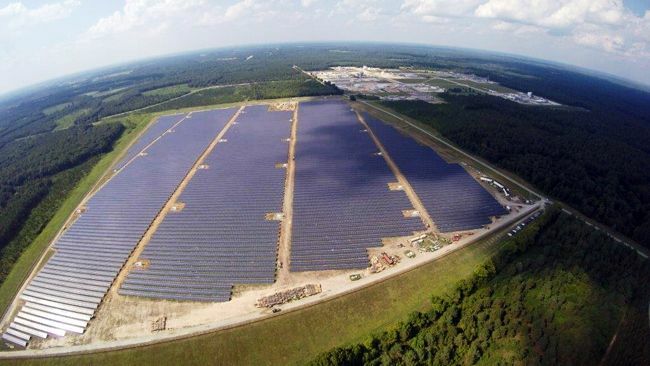 Corning will purchase 62.5 percent – 120,300 megawatt-hours (MWh) – of the electricity produced at a new solar power facility Duke’s renewable energy unit is building in Conetoe, N.C. That’s equivalent to the electricity used by some 10,000 U.S. homes. North Carolina’s solar power capacity is growing fast in the wake of pro-solar and renewable energy state regulatory reforms, and Duke is moving fast to take advantage of them. Elsewhere in its home state, Duke in late November announced it is joining with Google to source and deliver clean, renewable electricity from a 61-MW solar power project under construction in Rutherford County. The first corporation to join Duke Energy Carolina’s Green Source Rider program, electricity from the Rutherford Farms LLC solar facility will be delivered to Google’s data center in Lenoir. Operating regulated utilities in six U.S. states, as well as a commercial energy services business group that includes REC Solar and Phoenix Energy Technologies, Duke’s expanding the scope and scale of its renewable energy development and smart grid modernization activities across the U.S. 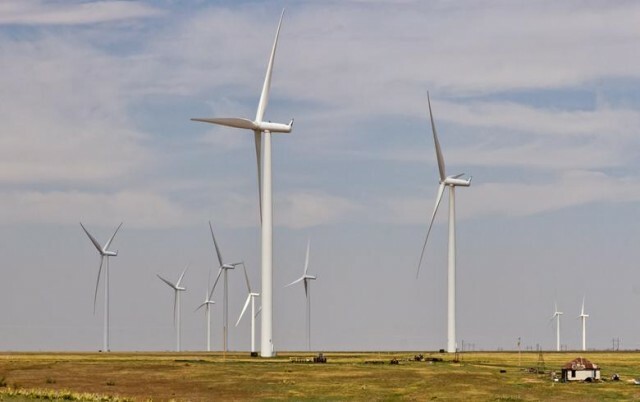 Besides solar, Duke on December 3 announced the rated power capacity of its commercial wind power portfolio will surpass 2 gigawatts (GWs) upon completion of a 200-MW wind power farm in Oklahoma. Its first renewable power project in the state, Duke Energy Renewables will build, own and operate the 200-MW Frontier Windpower Project, which its projected will produce enough clean, renewable electricity to power some 60,000 homes. 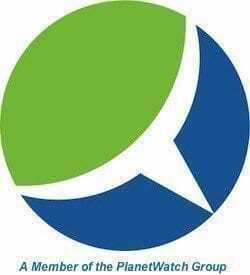 Power from the Frontier Windpower project will be purchased as per the terms of a 22-year agreement with City Utilities of Springfield, Missouri. “We’re investing heavily in renewable energy and surpassing 2,000 megawatts of wind power is a significant accomplishment for our company,” Greg Wolf, president of Duke Energy’s Commercial Portfolio, was quoted as saying. State power market regulatory reforms are paving the way for Duke and other U.S. utilities to take advantage of a wide range of emerging clean power technologies to expand both within and outside their regulated utility service territories. They’re also opening up opportunities for large corporations and utilities to reduce their greenhouse gas emissions and environmental impacts. “Corning is committed to reducing its carbon footprint, and this is a major step in that direction,” Corning SVP and chief strategy office Dr. Jeffrey Evenson was quoted in Duke’s press release. “Beyond pioneers from the ICT (information and communications technology) sector, we are seeing this year large corporations such as Corning coming from a variety of industrial and services sectors entering the market for the first time as fast followers,¨ commented Hervé Touati, the managing director who leads Rocky Mountain Institute’s Business Renewables Center. Duke’s also leveraging emerging advanced battery storage technology to expand its business. On December 8 Duke announced it is has struck an alliance with Green Charge Networks to offer commercial energy storage solutions for retail, industrial and government customers. Power users in states where electricity rates are high, such as California, Hawaii, New York and others, can take advantage of Green Charge’s intelligent Li-ion battery storage and energy management platform to reduce peak demand charges and smooth the peaks and valleys in electricity produced by solar power systems, Duke pointed out.